Willis G. Craig Jr. and his wife Alice from Pasadena purchased lot 11 in the Residence tract block 11 in September 1908. Per the September 19, 1908 Citrograph, they will erect a handsome residence. The home was built in 1909. Although no building permit was found, an entry in the tax records in 1914 values the house at $400. A prominent but unusual feature of this Craftsman bungalow style house is the seemingly unusual floor plan. The floor plan of the house was heavily influenced by the Prairie style of Frank Lloyd Wright, which originated in the mid-west, but was quickly spread throughout the country by popular magazines. This two story structure has wide exposed eaves and plain triangular brackets which are typical Craftsman. Today the roof material is composition shingle with multiple planes which are another feature of the Craftsman style. Siding is overlapping wood plank shingles. The dominant feature of the house is easily the battered (flared) granite fieldstone chimney with the granite “puddling” to the exterior landscape. Square leaded bay window projections flank either side of the chimney. A smaller roof crests the bays at this gable end only, creating an asymmetrical appearance from the other gable end of the front of the irregular “U” shaped plan. Fireplace dominance, such as seen here, was a relatively new concept introduced to architecture by Frank Lloyd Wright and was typical of his Prairie Style homes. Another Prairie Style concept integrated into this Craftsman bungalow home is the asymmetrically placed front door and non-restrictive hallway integrating the rooms of the main floor of the house. The front door is wood plank with two horizontal glass panes and multi-pane sidelights. All windows of the home are trimmed with plain molding and are primarily multi-pane double-hung, with two sets of ribbon windows gracing the front exterior. On the east side of the house, there is a curved bay window wall on the ground floor level which, again, is not typical in a Craftsman bungalow, but could be seen in a Prairie Style home and lends this home immense charm. The south side appears to have been the subject of an additional room, but there is no supporting paperwork to that effect and the addition is in keeping with the style of the home and is only evident upon close examination. At the north side of the house is a poured concrete patio edged by clinker style brick and porch piers made of clinker brick and fieldstone, which more than likely originally supported planters. 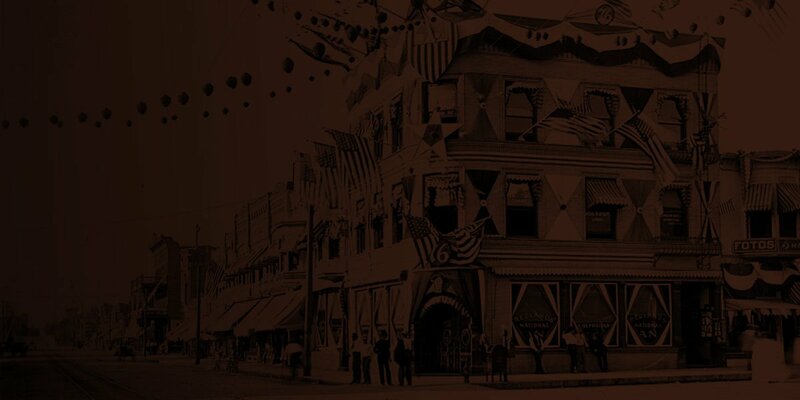 Mr. Craig was Secretary of the Savings Bank of Redlands per the 1911 city directory. The Craig’s lived in the home until sometime in 1911. The home had many owners over the years and was a rental much of the time until 1949. It was purchased by Harold R. Morris, M.D. and his wife Phyllis Ann. They lived there until 1961. 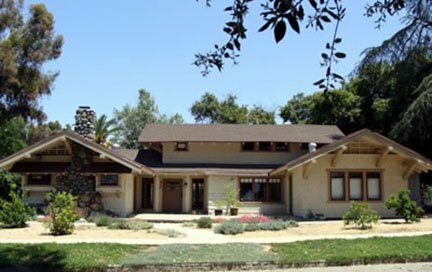 The Redlands Area Historical Society, Inc. commends Jim and Sara Blauth for purchasing this historic home in 2006 and dutifully seeing this home welcome its 100th anniversary this year in exceptional style and grace.